Kaizen is a methodology and a philosophy that is the basis of the Toyota Production System and Lean organizations. Kaizen is often translated into English as "continuous improvement." This means looking for possible small improvements regularly. Kaizen involves everyone at all levels of an organization in continuous improvement by asking them to look for ways to improve their own work processes. This kind of kaizen is something that occurs on a daily basis and eventually becomes a part of work itself. 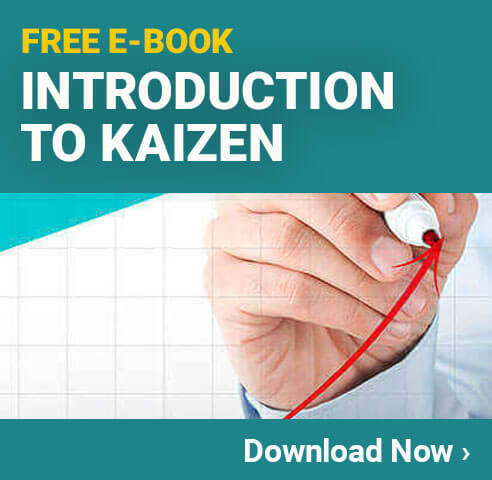 Kaizen empowers people to test out changes and see if they improve the way things work. 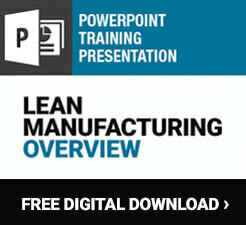 People on the manufacturing floor, managers, and executives should all participate in kaizen. Kaizen generally focuses on slow, incremental changes rather than vast, innovative changes. Some have described this as the difference between the Eastern tortoise and the Western hare. In the Eastern mindset, small changes add up to large improvements over time, while in the West people tend to focus on fast, innovative changes. In Lean, by continually seeking to improve standards and looking for ways to reduce waste, even when nothing is broken, the system ends up working better in the long run. While daily kaizen is commonly found in any Lean business, some businesses also have periodic kaizen events, also called a kaizen blitz. Kaizen events must be planned ahead of time and a well-rounded team is established to participate in the blitz. These events take place over a set period of time, usually a few days or weeks, and is focused solely on improving a specific process or a particular part of the proves. Kaizen activities are typically carried out through the PDCA (Plan, Do, Check, Act) cycle. The PDCA cycle can be used by people of all levels and on issues both big and small. It can be employed during a Kaizen event, to check in on standard work procedures, or even during a Gemba walk. The continuous nature of this cycle is important for kaizen, effectively providing a framework for carrying out ongoing changes.